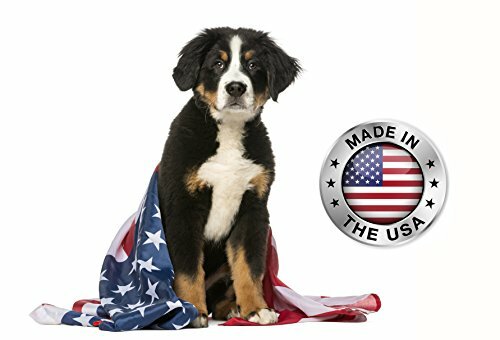 DOG TREATS MADE IN USA ONLY : These chicken jerky dog treats are 100% sourced and made in the USA. 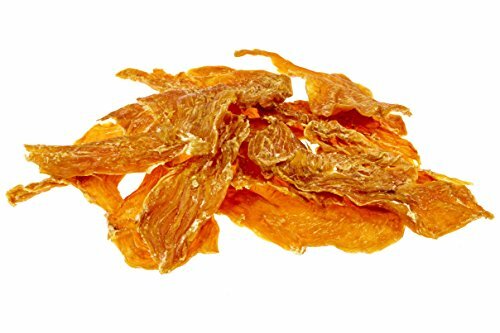 This makes our chicken jerky for dogs a safe treat that you can give your pet without worrying about it making them sick due to foreign ingredients. Our USDA grade A chicken breast comes from chickens grown right here in the USA without the use of growth hormones or steroids. Absolutely no ingredients from China are used! 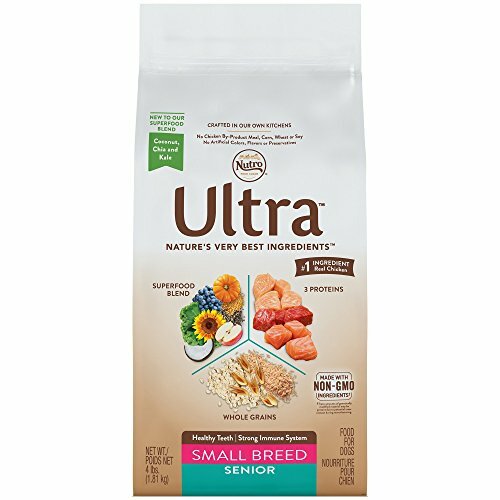 NEW AND IMPROVED : The same great USDA Grade A chicken breast is now cut thicker which means less little pieces in the bag! 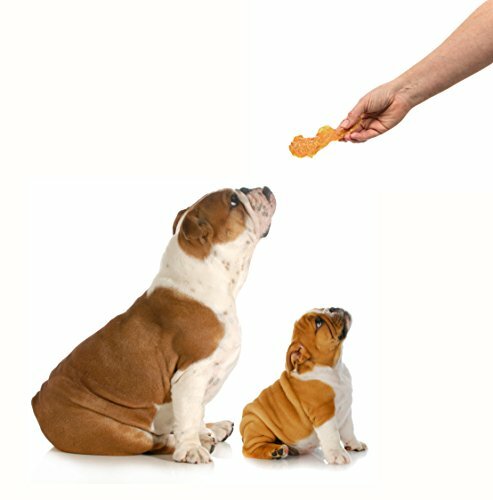 These crunchy treats are high in protein and make a great snack for dogs or cats. Your dog will love it so much they will beg you for more! 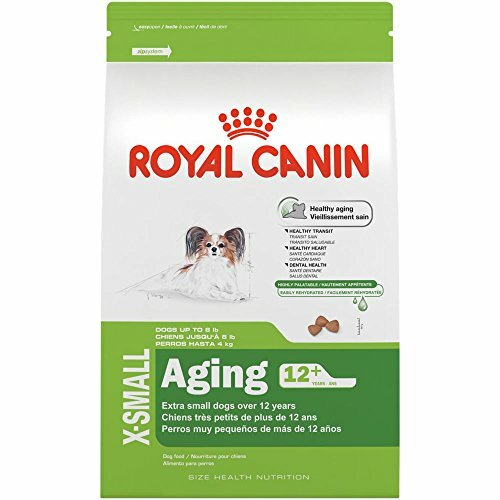 These treats can be broken up into smaller pieces making them ideal for dogs of any age or size including puppies. Comes in a resealable bag. Easy to store – no refrigeration needed. Simply store in a cool, dry place. 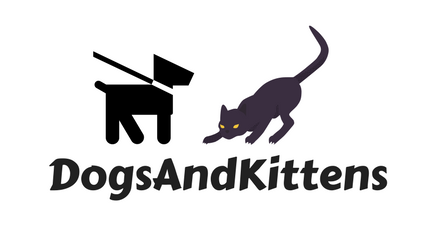 GRAIN FREE DOG TREATS WITH NO ADDITIVES, PRESERVATIVES, OR FILLERS : Great for dogs with sensitive stomachs or food allergies because it won’t upset their system which means you won’t have to deal with cleaning up the mess! Made in small batches to assure the highest quality. 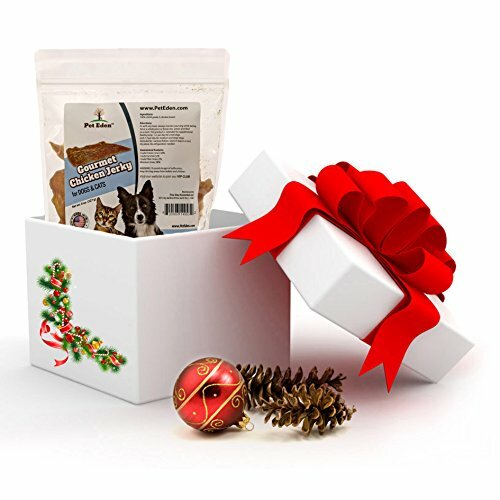 These human grade dog treats have only one ingredient which is chicken breast of the same quality you feed your family which makes them exceptionally healthy dog treats that you can feel good about giving them. 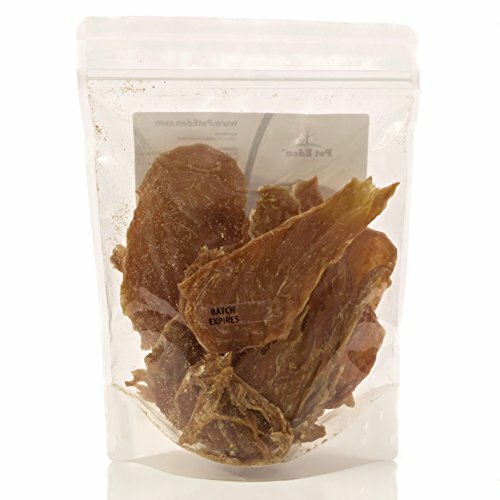 – The absolute best hand cut chicken jerky. 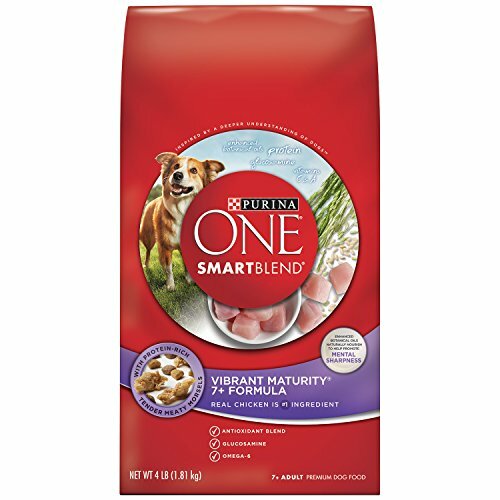 Even the pickiest of dogs will eat this right up. It can be used for snacks or broken into bits for training purposes. LIMITED INGREDIENT TREAT : This pet chicken jerky has only 1 ingredient which is USDA grade A chicken breast, so you won’t be feeding your pet potentially harmful ingredients. These treats are 100% meat. 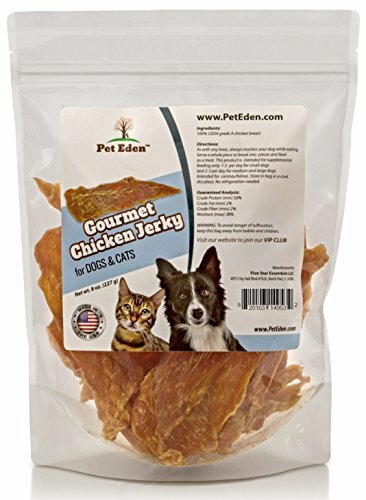 When you order our chicken jerky, you will be feeding your pet the very best! 100% SATISFACTION GUARANTEED! You are covered by a 30-day unconditional guarantee. If you are not completely happy with this treat, you will receive a full refund, so order yours today absolutely risk free!